Please call 866-884-2126 to upgrade your subscription. Mainly sunny to start, then a few afternoon clouds. High 76F. Winds S at 10 to 20 mph..
Cloudy skies. A stray shower or thunderstorm is possible. Low 54F. Winds S at 5 to 10 mph. 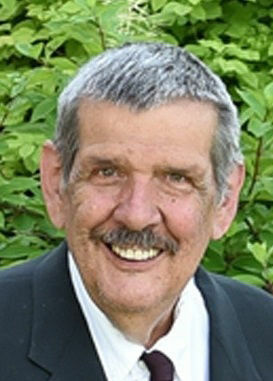 Richard “Rick” J. Maier, 70, of Sauk city, passed away on April 2, 2019, at Reedsburg Senior Living Center. He was born March 31, 1949, to the late Carl and Adeline (Reuter) Maier. He attended St. Norbert’s Catholic Grade School and later graduated from Sauk Prairie High School. Rick served in the United States Army as Military Police Officer during Vietnam. He and his brother Roland started Cabinets Unlimited in Lodi and built many beautiful cabinets for people in the area until Rick’s health deteriorated. Rick enjoyed living on Lake Wisconsin, and fishing. He was an avid sports fan who enjoyed football, baseball, basketball, and was always cheering on the home team; the Packers, Badgers, or Brewers. Rick is survived by his two daughters, Jill Maier, and Jessica Suchla; grandchildren, Kasondra (James) Paulson, Christopher Maier, and Cashton Suchla; great-grandchildren, Kaylee Paulson, and Khaleesi Hernandez; five brothers, Rodney (Christina) Maier, Russell (Vicky) Maier, Roland (Cristi) Maier, Jeff (Linda) Maier, and Mark (Pamela) Maier; he is further survived by other relatives and friends. In addition to his parents, he was preceded in death by an infant son, Shawn. A memorial mass will be held at 11 a.m. April 8, 2019, at St. Norbert’s Catholic Church-Roxbury, 8944 Highway Y, Sauk City. A visitation will be held in the church basement from 10 a.m. until the time of service. Interment will follow in the St. Norbert’s Cemetery with Military Honors Accorded by Lachmund-Cramer VFW Post 7694. Rick’s family would like to express their sincerest gratitude to the many caregivers at Reedsburg Senior Living and Agrace Hospice. For online condolences, visit hooversonfuneralhomes.com. ENTER THE 2017 MARCH FEVER CHALLENGE! Activate full access today and try out the e-edition! Greetings, thank you for subscribing to our newspaper in print and online.